A right-hander, Pivetta (4-5, 3.76 ERA) has a 5.79 ERA over his last three starts and opponents are hitting .294 against him in those games. Pivetta picked up a loss in all three of those outings, including last Thursday when he gave up four earned runs on six hits in five innings against the Cubs. The Rockies, meanwhile, are on a five-game losing streak. It's their longest skid of 2018 and the worst losing streak the team has had since it lost eight straight games from June 21-28 in 2017. "That was a very solid outing," Rockies manager Bud Black told MLB.com of Anderson after the start. "I thought the changeup was really effective. He commanded the fastball well." Anderson will face Kingery, a rookie, for the first time in his career. Kingery has been the Phillies' everyday shortstop for the past two weeks and his four RBIs on Tuesday night tied a career high. Kingery's batting average is only at .215 through 200 at-bats this season, but he's had multi-RBI games twice in his last five contests. 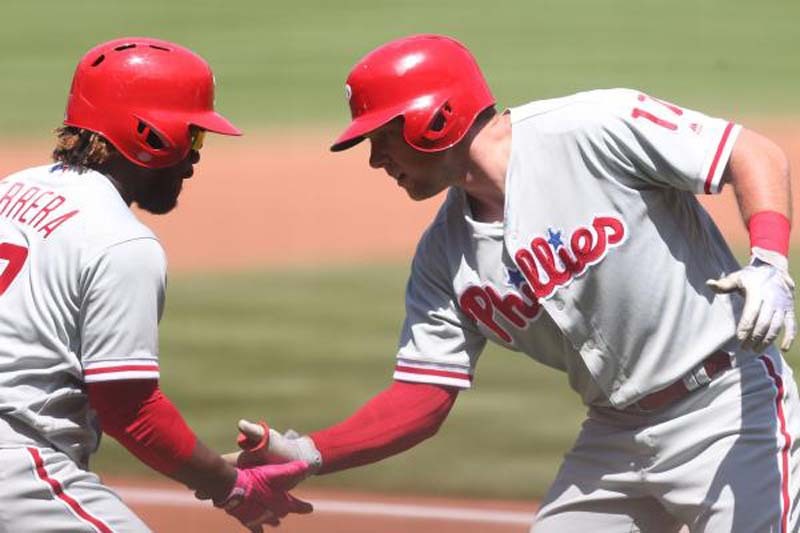 "That's how you want to start a series, especially against a good team like this," Kingery, who hit a three-run homer in the first inning, told NBC Sports Philadelphia after the win. "You want to be the first team to score. Nola did a great job right before that. This kind of gives us some momentum."